08/02/17 Suspension and Steering General motors llc (gm) is recalling certain 2014-2016 chevrolet ss vehicles. corrosion of the connector between the electric power steering module and the torque sensor connector may cause a loss of electric power steering assist. 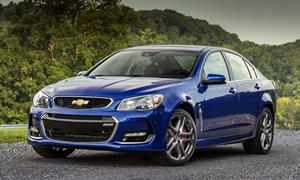 Gm will notify owners, and dealers will inspect the steering gear assembly, replacing it as necessary, free of charge. the recall began august 2, 2017. owners may contact chevrolet customer service at 1-800-222-1020. gm's number for this recall is 17248. 11/03/16 Other General motors llc (gm) is recalling certain model year 2014-2016 chevrolet caprice police pursuit vehicles manufactured may 14, 2013 through june 14, 2016, and chevrolet ss vehicles manufactured may 15, 2013 through april 27, 2016. the driver's seat belt tensioner cable may be repeatedly bent over the seat side shield as the driver enters and exits the vehicle causing the cable to fatigue and separate. 12/28/15 Other General motors llc (gm) is recalling certain model year 2014 chevrolet caprice vehicles manufactured august 14, 2013, to february 3, 2014, and chevrolet ss vehicles manufactured august 15, 2013, to february 16, 2014. the affected vehicles received replacement seat base assemblies during repair service, but during the work, the seat position target bracket may not have been transferred from the old seat to the new one. without the seat position target bracket, the air bag may deploy at a higher intensity than necessary. Gm will notify owners, and dealers will inspect the vehicles and, if necessary, install a seat frame equipped with a target bracket, free of charge. the recall began on december 28, 2015. owners may contact chevrolet customer service at 1-800-222-1020. gm's number for this recall is 15567. 08/22/14 Other General motors llc (gm) is recalling certain model year 2013-2014 chevrolet caprice vehicles manufactured june 7, 2013, to may 29, 2014, and 2014 chevrolet ss vehicles manufactured september 13, 2013, to march 4, 2014. in the affected vehicles, the windshield wiper motor gear teeth may strip causing the windshield wipers to become inoperative. 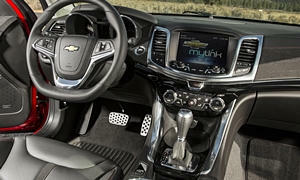 Gm will notify owners, and dealers will inspect the wiper module assembly and replace any affected ones, free of charge. the recall began on august 22, 2014. owners may contact chevrolet customer service at 1-800-222-1020. gm's number for this recall is 14295. 08/15/14 Other General motors llc (gm) is recalling certain model year 2013-2014 buick encore and cadillac ats; 2014 cadillac cts, elr, chevrolet caprice and ss vehicles; and 2014-2015 chevrolet silverado and gmc sierra trucks. due to an incomplete weld on the seat hook bracket assembly, the front seats in the affected vehicles may not stay secured in place during a high load condition such as a crash.